Overall, 1,070,420 pounds of Aztec Center materials have been recycled while 327,080 pounds had to be disposed. 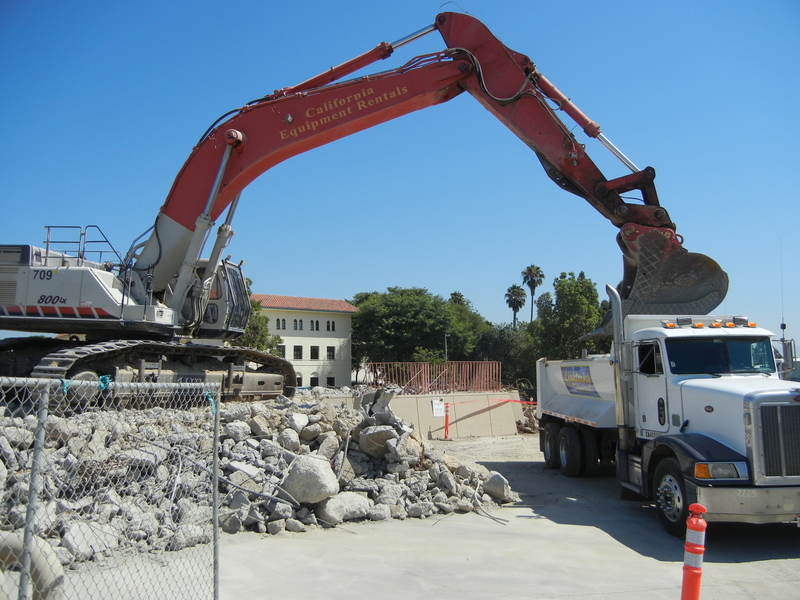 Thus, 76.6 percent of the building has been recycled thus far, and this total doesn’t even include the concrete brought to a staging area in Parking Lot W waiting to be crushed and re-used for Aztec Student Union. The August report will come out in mid to late September. Six trucks have been hauling off demolished materials the last couple of days, and they will continue doing so for the next couple of weeks. We’ll also check in on the concrete crusher in Lot W as soon as it gets going. Red and Black Building Green!